1772 outer letter sheet to a Mr Alexander Gordon at Jamaica Coffee House, London, bearing two-line DEAL/ SHIP LRE, Bishops arrival on reverse; fine and clean condition. 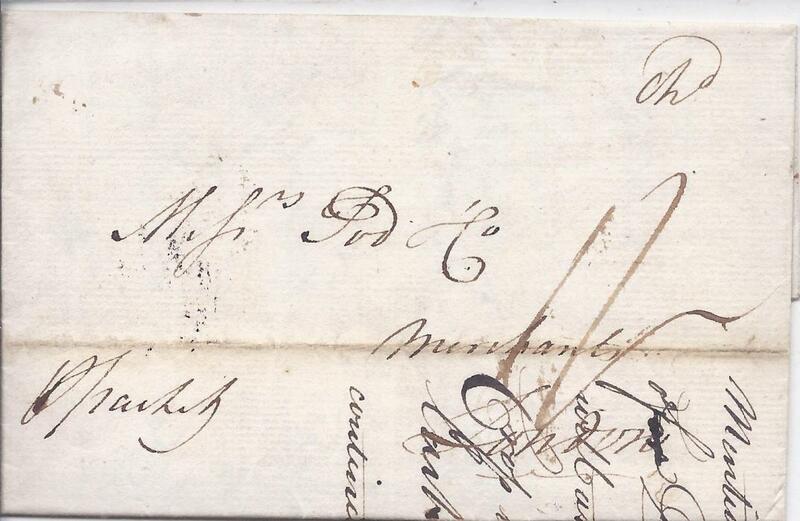 1785 entire to London bearing on reverse very fine GRENADA (Crown) handstamp, arrival cds top right. The obverse bears two-line DOVER/SHIP-LRE and manuscript rate markings; fine and scarce. 1786 entire to London with, on reverse reasonable strike of Grenada/ (Crown) handstamp, arrival cancel at right, horizontal filing crease. 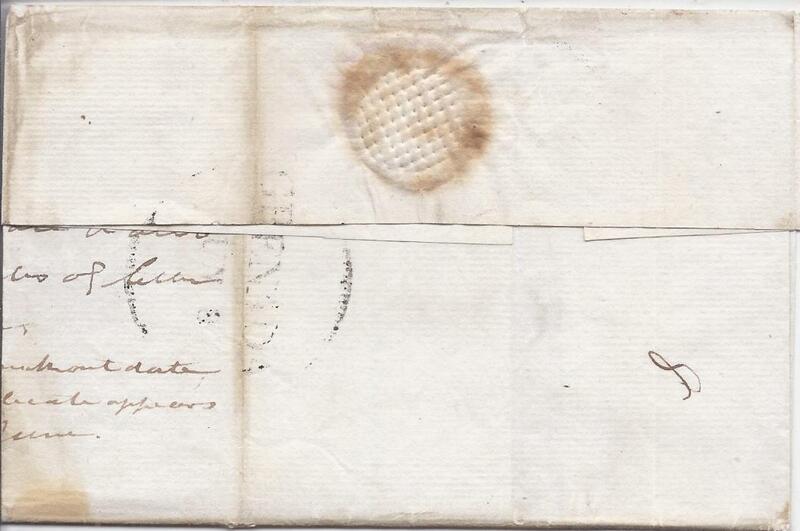 1808 outer letter sheet annotated to once containing duplicate letters, �4/-� manuscript rating with �8� added, reverse with part large GRENADA date stamp which is affected by vertical filing crease. 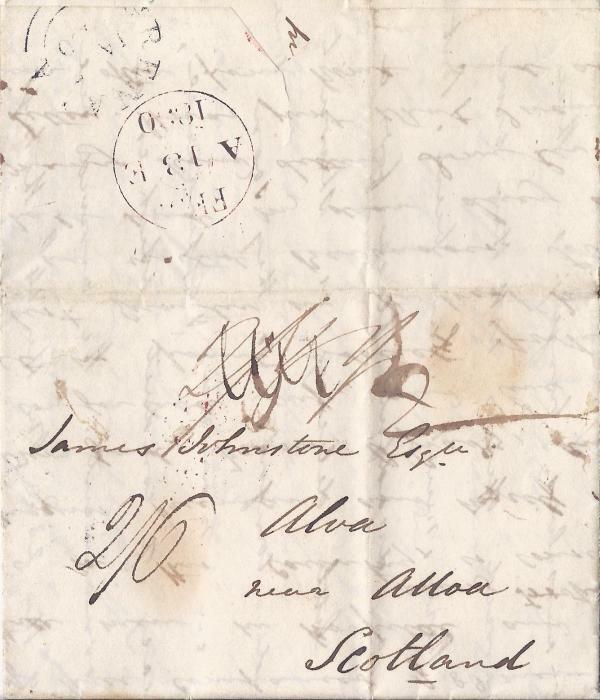 1830 cross-written entire to Alva, near Alloa, Scotland, amended manuscript rates with final �2/6�, plus � � � for local carriage, reverse with double arc Grenada date stamp and British arrival cds. 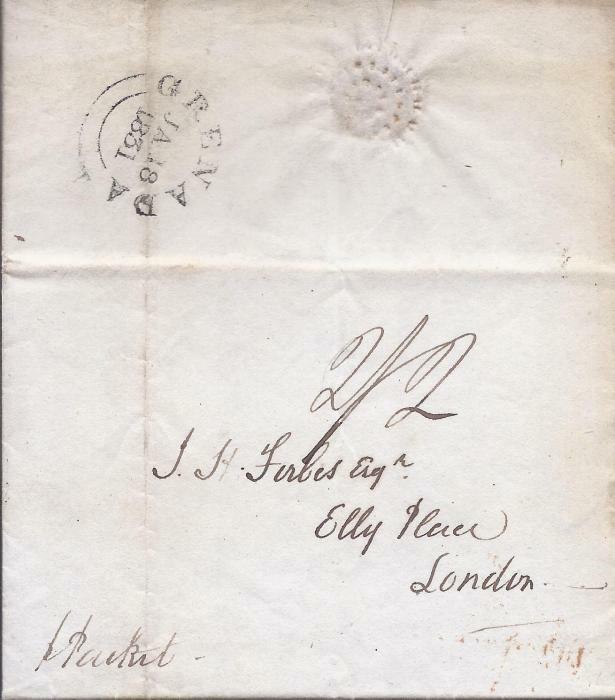 1831 (Ja 18) entire to London, endorsed �Pr Packet� and rated �2/2� and bearing double-arc despatch datestamp on reverse; vertical filing crease affecting date stamp, clean condition. 1889 2d. registration envelope, size G, Thos. 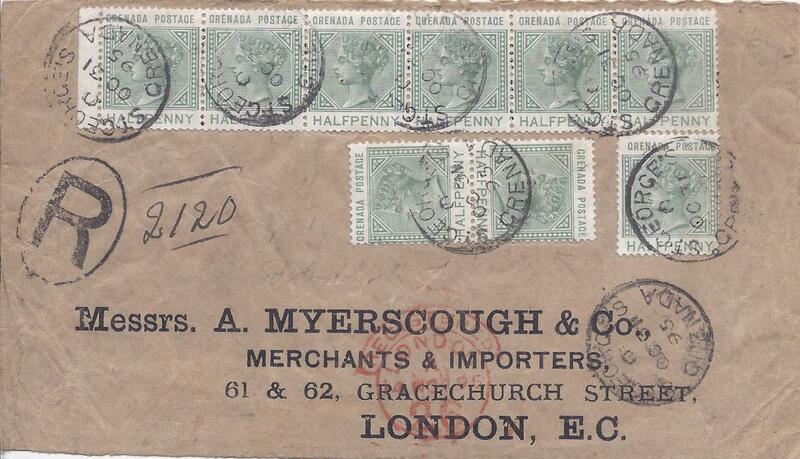 De La Rue & co. Patent, to London uprated 4d. 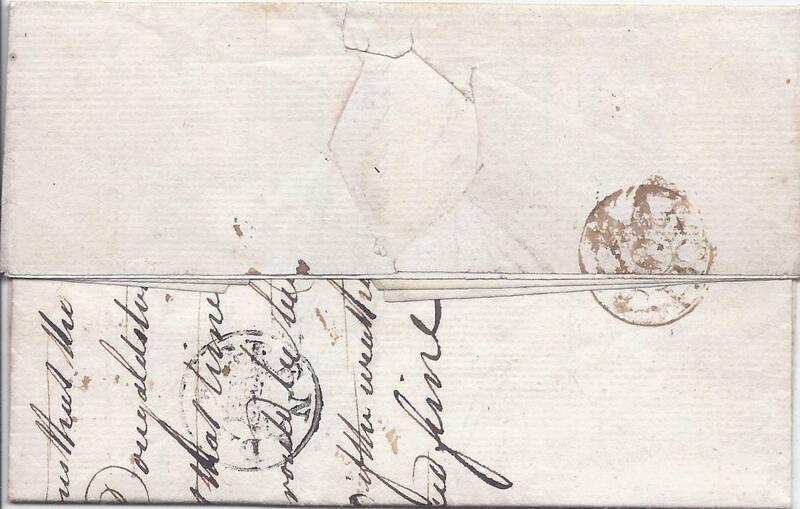 tied by blue GRENADA 26 OC 68/ D, red London arrival also tying stamp, reverse with Grenada cds. 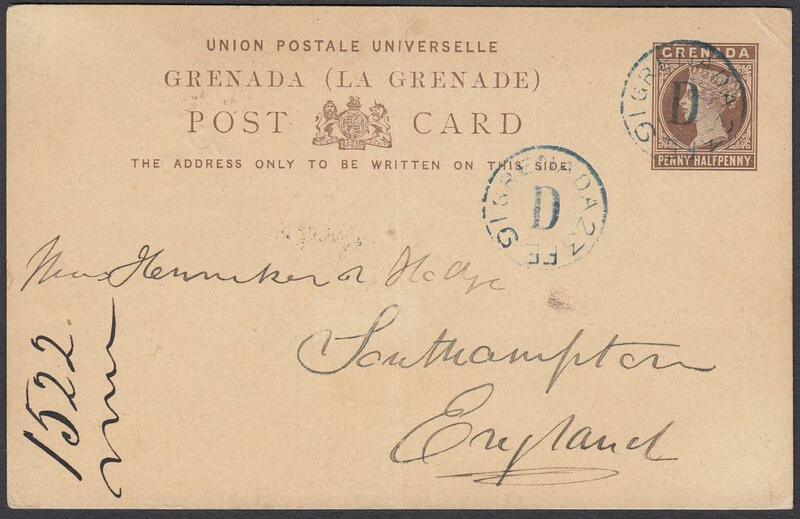 1891 PENNY HALFPENNY postal stationery card to England, cancelled fine blue 'GRENADA/23 FE 91/D' date stamp with another equally clear strike alongside, reverse with 'GRENADA/91 FE 23' date stamp; light central vertical filing crease. 1892 2d. 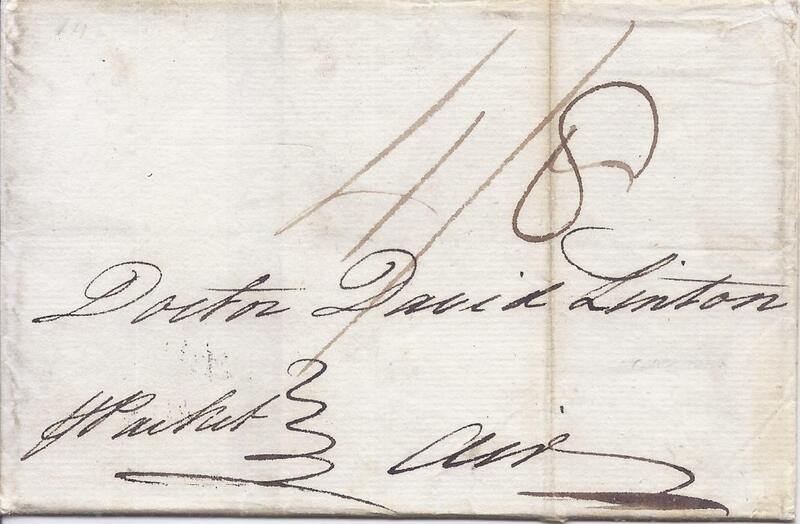 registration envelope, size G, DE La Rue under flap, to London uprated pair 2 �d. tied Grenada cds, arrival on front. 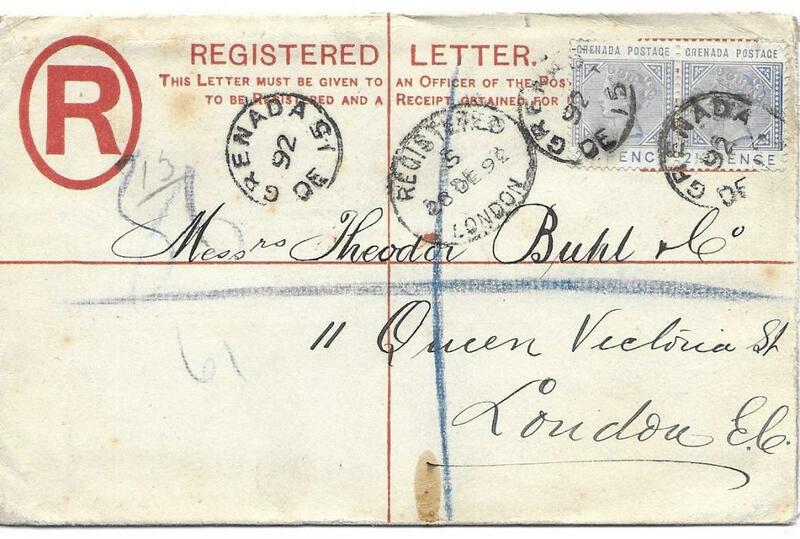 1895 registered cover to London franked 1/2d. 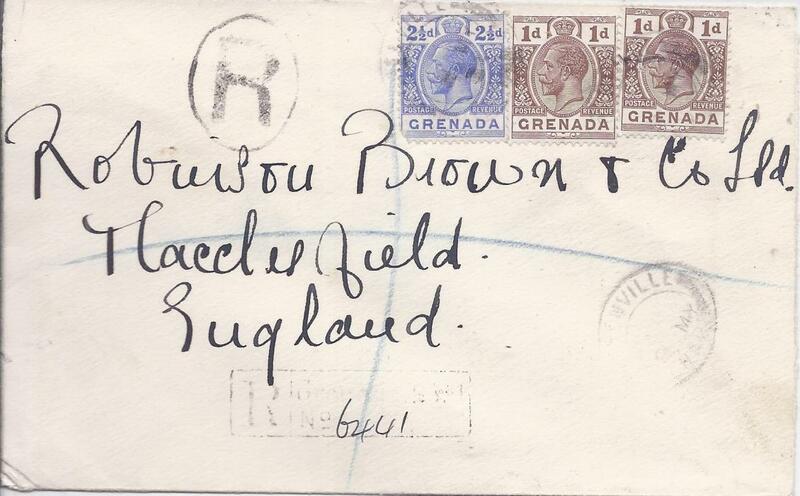 horizontal strip of six, a single and a vertical tete-beche pair tied St George's cds, red London arrival at base, fine correctly rated cover. 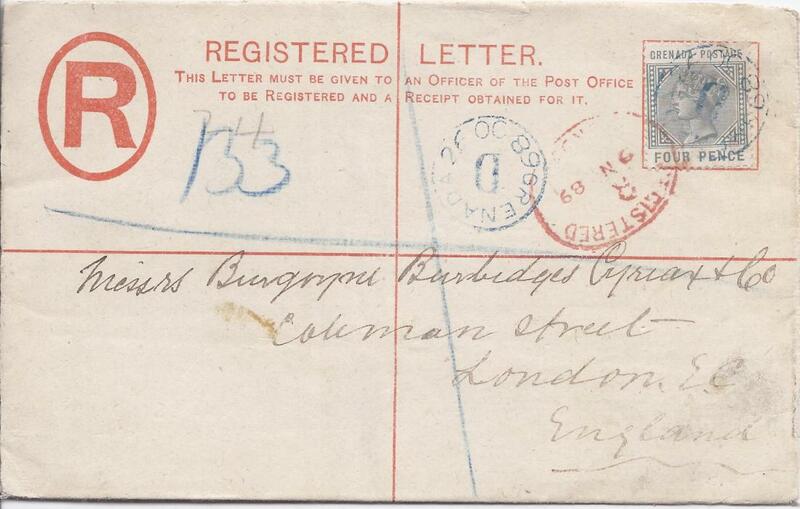 1898 registered cover to London bearing fine mixed issue franking of 1886 1d. on 1s orange, 1888-91 Postage And Revenue 1d. on 8d. 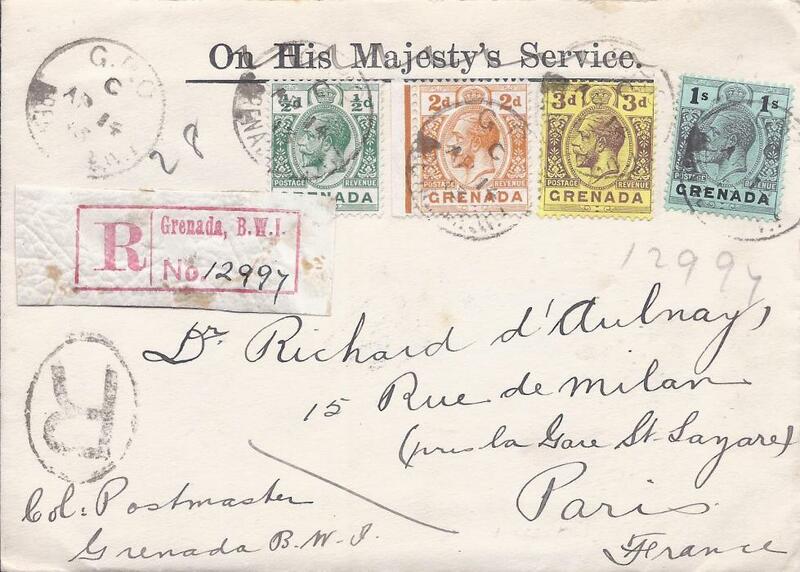 and 1883 6d., tied St George�s cds, red London arrival additionally tying stamps, no backstamps; fine and attractive. 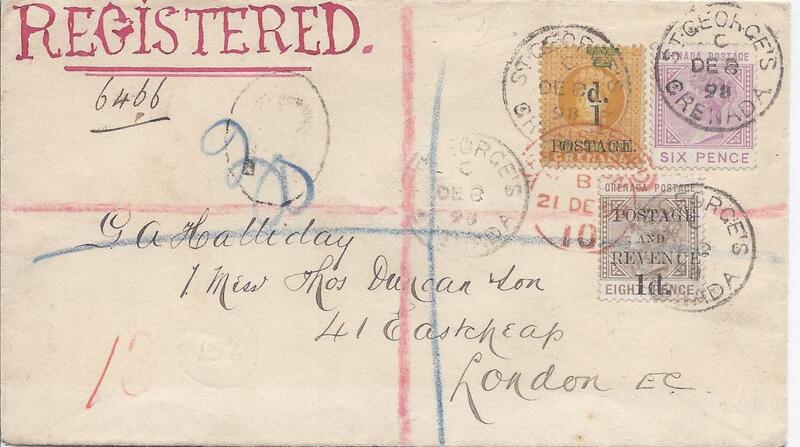 1906 (MY 31) registered cover from Colonial Postmaster to London bearing single franking 1904-06 1s tied G.P.O. cds; roughly opened at top with slight faults, the stamp showing fine original colour. 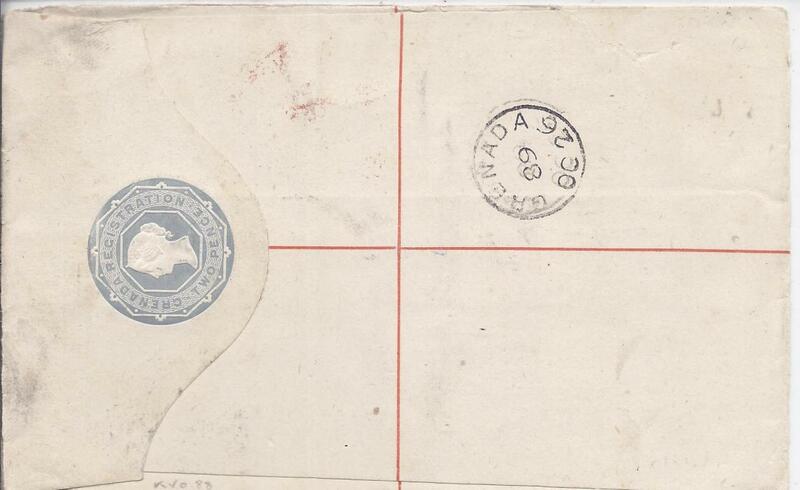 1913 registered cover to Paris franked �d., 2d., 3d. and 1s. tied G.P.O. cds, red registration label at left, London transit backstamp. 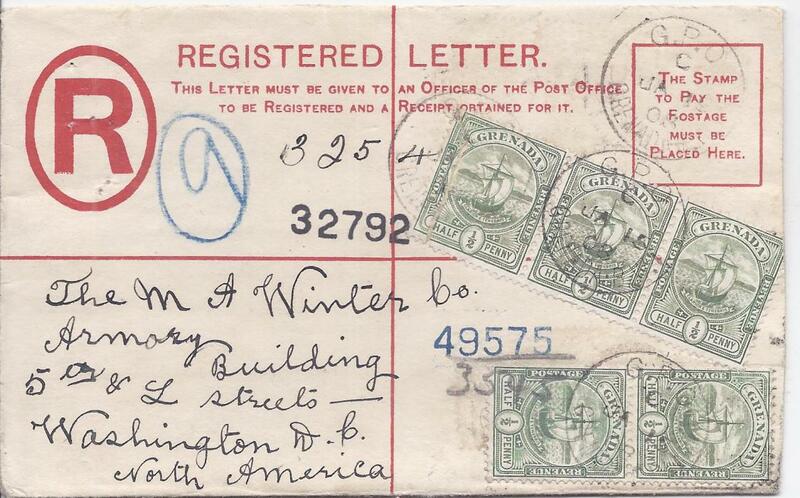 With contents, a letter from Post Office detailing the stamps enclosed. 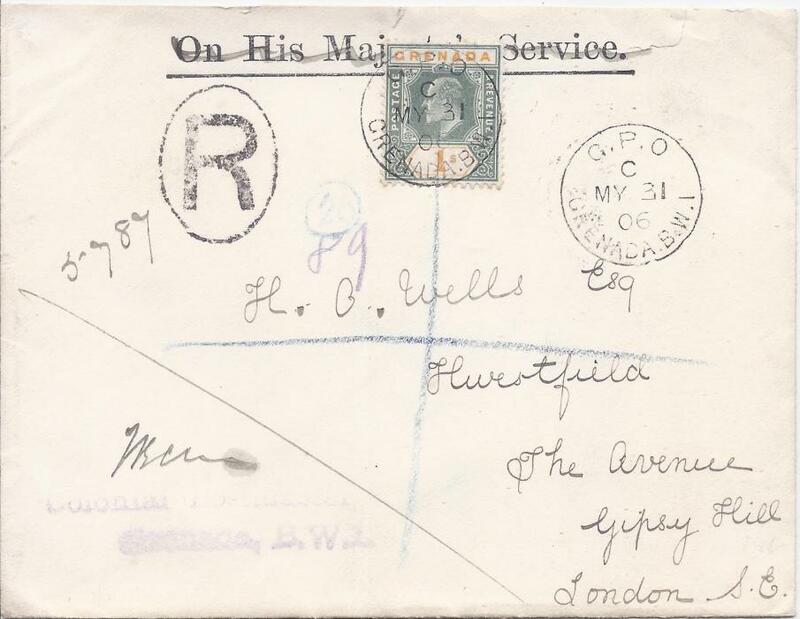 1934 (8 MY) registered cover to England franked 1d. (2) and 2�d. tied Greneville distorted cds, registration handstamps, four more despatch backstamps together with G.P.O. cancel of next day and arrival cancel. Postal Stationery: 1908 2d. 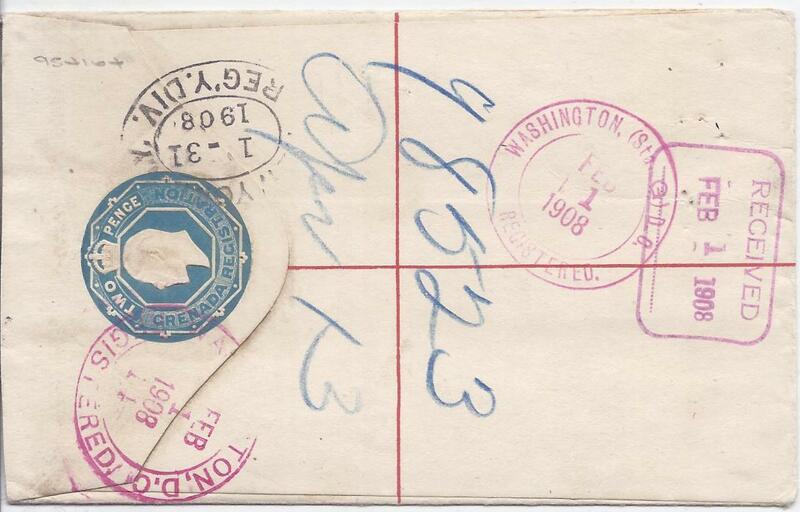 registration envelope, size F, to Washington and uprated with five 1/2d. tied G.P.O. cds, New York transit and arrival backstamps.